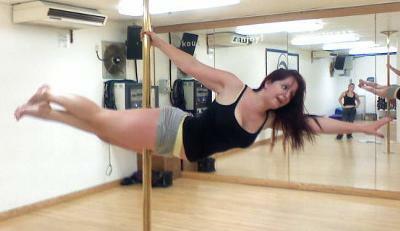 Pole fitness is great for health, flexibility, and overall fitness as well as being great fun and a real confidence boost. Elevations Vertical Studio specialises in teaching you the skills and technique required to perform basic tricks and spins as well as advanced levels of moves, combinations, inverts, poses and transitions. Lessons can cater for beginners right through to advanced level and this will be assessed with a one to one lesson or at the beginning of your first group lesson. Classes are held in Lewes, East Sussex, and one-one private lessons are also available as well as parties for that special occasion. Maximum of 6 people per class. Prior booking needed to avoid disappointment. No previous dance experience needed and any age, shape, size or fitness level are welcome!